Glad to announce that now the Volume 1 is available exclusively on Kindle. On 8,9,10,17,19 of March, 2013 this, book is available for free to download. 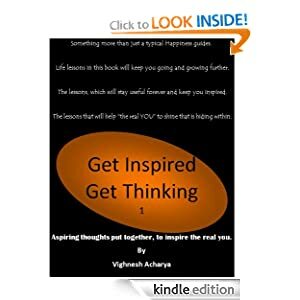 click here to download GET INSPIRED GET THINKING – Volume 1. This e-book is packed with 25 inspiring chapters, that will get your brains churning for good.